ACCORDING to the latest data from HomeLet's Rental Index, UK rents for new tenancies have begun to rise at a rate not seen in the market for over 2 years. The annualised picture shows rental values having increased at a higher rate than was seen in 2018; rising by 3.3% in the last 12 months. The HomeLet Rental Index; the most comprehensive and up to date data on rental values in the UK; is showing a move away from the normal fluctuations in the private rental market, with rents for new tenancies now rising at a rate above inflation; 1 that has not been recorded since October 2016. ► The Region with the largest year on year increase in the South West, showing a 5.8% increase between March 2018 and March 2019. ► The average rent in the UK is now ₤942, up by 3.3% on the same time in 2018. ► When London in excluded, the average rent in the UK is now ₤782, this is up by 3.0% on in 2018. ► Average rents in London are now ₤1,613, up by 2.8% on in 2018. ► 8 Regional 'hotspots' showed an increase in rents of more than the UK average over the 1st 3 months of 2019. ► All 12 of the Regions monitored by HomeLet showed an increase in rental values between March 2018 and March 2019. 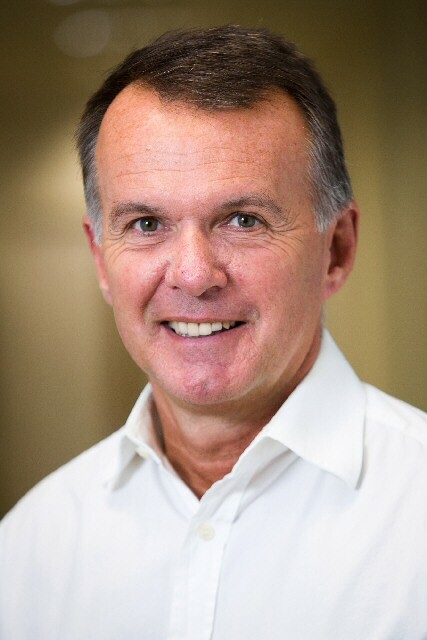 Commenting on the data, chief executive of HomeLet, Martin Totty, said:- "With the Tenant Fees Act due to take effect in England from 1 June 2019, the acceleration we're seeing in agreed rental values will come as no surprise to anyone. Whilst the aim of the Tenant Fees Act is to reduce the costs that tenants can face, landlords still need to cover the costs that are incurred when setting up a tenancy. With landlords already feeling the impact of Taxation changes, the expectation is that costs will be passed back to tenants through higher rents, particularly for new tenancies. Landlords' ability to increase rents will largely be determined by local market dynamics of supply and demand for property. Regional 'hotspots,' where rents are increasing faster than the UK average over the 1st 3 months of 2019 when compared to in 2018 include:- Wales, Yorkshire and Humberside, the West Midlands, the North East and West, the South East and West, as well as Greater London." Commenting on the outlook for 2019, Martin added:- "Recently released annual results from a number of major quoted property agents point to a resilient private rented sector in contrast to a subdued sales market. With a still unclear outcome of the Brexit political impasse and the increasing prospect of a further extended delay in the UK exiting the European Union, the contrasting fortunes of the 2 main segments of the housing market seem likely to continue for some time. If demand for rental property remains strong, coupled with the lower frictional costs of moving between rental properties for tenants from 1 June 2019, landlords may yet be able to recover the additional cost burden they will face by edging up rents. This will likely require the current high levels of employment and real wage growth being sustained. But, it could be the case both tenants and landlords get what they want; tenants are relieved of the 1 time up front burden of feed at the commencement of a new tenancy and instead landlords meet these costs and recover them over time via gradual increases to monthly rents." THE annual cavalcade of cruise ships began on Friday, 12 April 2019, when luxury liner, the Costa Mediterranea, made its 1st voyage down the Mersey. Over the next 7 months, Liverpool City Council's multi award winning Cruise Terminal will welcome a record breaking 86 ships, carrying an estimated 165,000 passengers and crew. Now in its 12th year of operation, the Cruise Terminal generated more than ₤7m for the City's local economy and this year that figure is expected to almost double to ₤12m. The Costa Mediterranea is 1 of 11 newcomers to the terminal this season. It will brought more than 2,000 passengers to Liverpool en-route from Dublin to Belfast. The ship docked at approximately 7.30am, with a Liverpool Town Crier welcoming passengers onto dry land, at 8am. Later in the day the Lord Mayor of Liverpool Cllr Christine Banks exchanged ceremonial plaques with the ship's Captain before was waved off at 6pm. Other inaugural visits to Liverpool, this year, will come from:- Celebrity Reflection, the Viking Jupiter and the Norwegian Spirit, which will visit 3 times. Other highlights of the season include the arrival of 2 Cunard ships throughout the season, the Queen Victoria on:- 12 June 2019 and 19 August 2019 and Queen Mary 2, on:- 16 July 1019. The Disney Magic Cruise Liner will make its 5th return journey to the City, on:- 13 September 2019. Liverpool City Council's Director of Culture, Claire McColgan, said:- "Liverpool has firmly secured its status as 1 of the favourite destinations for many of the big Cruise Liners. This is because of the amazing work of everyone involved with the Terminal and the warm welcome passengers get when they visit our City. The fact that so many ships will be coming to Liverpool this year is a testament to the success of the Terminal and it is something that everyone in our City should be really proud of. 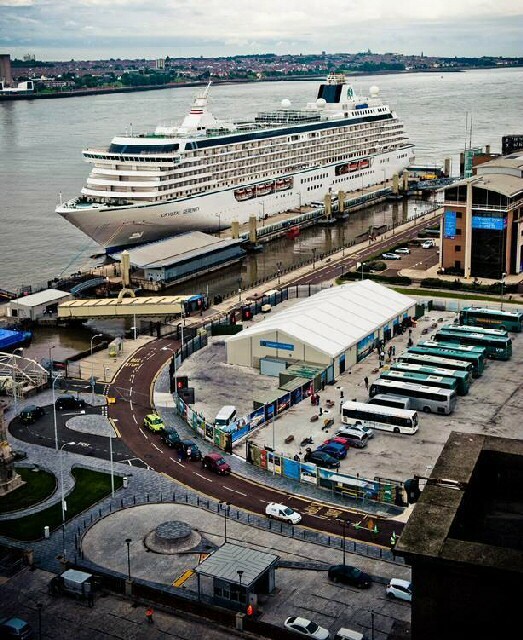 Cruise season in Liverpool is always an exciting time and this year, I'm sure it will surpass expectations."